How to make it: Making your own stress toy is very easy. 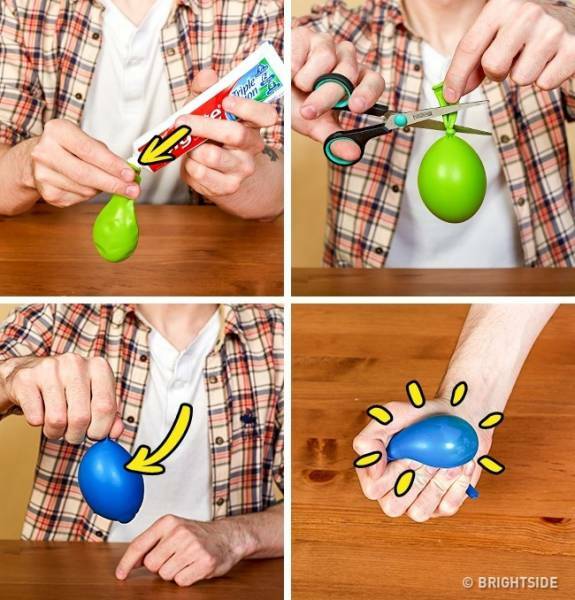 Take a balloon, fill it with toothpaste, and tie it closed. To make it a little tougher, place the balloon inside another one, and tie the second up as well. Your stress ball is ready!